This season there are several snow-filled directions to head in to get your ski on. We’ve chosen five of the tip top spots where the spas certainly rival the slopes. This classic Craftsman resort tucked in to the forested slopes of Utah's Deer Valley Resort with its ski-in/ski-out access is a truly evocative spot, reminiscent of the great North American mountain lodges from another era. The resort is a mere 36 miles from Park City International airport and minutes away from the charming and historical town of Park City, the epicenter for cinematic and celeb activity every January with the Sundance Film Festival. Check in to one of Montage Deer Valley’s 154 guest rooms or spacious 66 suites with gas fireplaces and sweeping mountain views. Then walk out your door and onto the slopes of Deer Valley Resort with its 2,026 acres of skiable terrain on six mountains with 100 exciting trails and an annual drop of 300 inches of fresh powder each year. 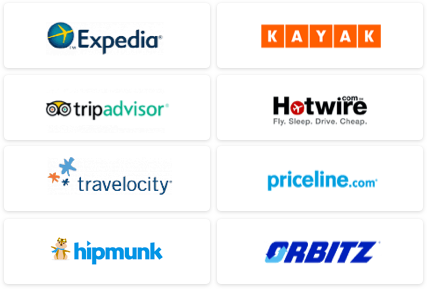 If you need some ski assistance, simply call the on-site ski-concierge. Après-ski head to Spa Montage’s 35,000-square-foot Alpine-inspired spa. After a day of hitting the wind, opt for the Mountain Anti-Aging Facial with an oxygen serum that penetrates the skin, a contouring Connective Tissue Massage, which stimulates the production of collagen and elastin, and an herbal mask that hydrates, firms, and lifts ($180 for 60 minute or $240 for 90 minutes). For the body beautiful, it’s the signature Transpiration. This organic restorative treatment begins with a warm, mineralizing bath of oxygenated water coupled with a stream of cooling water to stimulate respiration and clarity followed by a friction scrub to enhance vitality and stamina. This concludes with a rhythmic massage featuring propolis, harnessed from local bees and aspen bark extract sourced from local aspen groves which surround Spa Montage ($230 for 90 minutes). This luxurious mountain retreat managed by Destination Hotels & Resorts is an alpine oasis ideally set at the base of Squaw Valley USA, site of the 1960 winter Olympics and minutes from California's North Lake Tahoe. This AAA Four-Diamond resort recently completed a $53 million resort-wide renovation, inclusive of its 405 guest rooms, suites, and bi-level penthouses. The dramatic lobby with floor-to-ceiling windows overlooks a cascading waterfall and a breathtaking view of the Sierra Nevada mountains. This picturesque property features 4,000 acres of ski terrain, ski-in/ski-out access to Squaw Valley, and Lake Tahoe's longest skiing season. As the ultimate California ski destination, Squaw Valley offers a network of 34 lifts, free night skiing, and an extensively groomed terrain. For your own grooming, drop in to Resort at Squaw Creek’s luxurious spa and fitness center. The signature Skin Specifics Facial utilizes products rich in essential oils, fruit and plant extracts, and marine-therapy perfect for winter skin and appropriate for both genders ($135 for 50 minutes). For those that need to adjust to the high altitude before hitting the slopes, their High Altitude Massage is a must. The relaxing Swedish-style massage addresses dryness, dehydration, headaches, and anxiety. This aroma massage treatment uses a special blend of essential oils that promote respiration, relaxation and tension headaches ($135 for 50 minutes or $180 for 75 minutes). 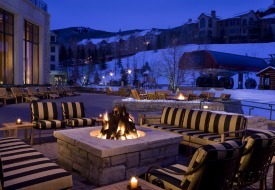 The Park Hyatt Beaver Creek is an elegant chateau-style resort that incorporates the absolute grandeur of its idyllic Colorado Rocky Mountain setting. This iconic property, easily accessible by car from the Denver airport or city center, offers affordable luxury in its 190-room resort with ski-in/ski-out access to some of the best skiing in the West. Beaver Creek is Colorado's youngest resort with 4,040 feet of awe-inspiring vertical, 146 trails, 17 lifts, and 310 inches of powder per year. If struggling to adjust to the 11,440 feet elevation, simply slip in to the luxurious 30,000-square-foot Allegria Spa for their newly offered High Altitude Adjustment Treatment. Administered by a licensed acupuncturist, the acupuncture stimulates oxygen rich blood to flow through the body, together with a vitamin B12 injection and Chinese herbal medicine to relieve symptoms ($220 for 80 minutes). It’s a great pre-ski treatment if looking for that competitive edge on and off the slopes. Après-ski, the Arnica Sports Relief Cure features aromas reminiscent of the surrounding Rockies. This sports therapy includes a bath infused with arnica, eucalyptus, and juniper to relieve sore and fatigued muscles. A therapeutic body massage follows, incorporating hot stones and deep tissue work with warm wintergreen butter. The treatment concludes with an Alpine Thermal wrap and neck and scalp massage, pitch perfect after a long day on the slopes ($275 for 100 minutes). Surrounded by 2,000 acres of environmentally protect land within Stowe, Vermont, the “ski capital of the East,” Stowe Mountain Lodge is the newest preeminent mountain resort to open in New England in 50 years. 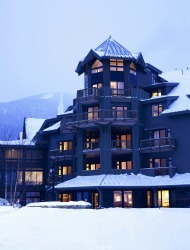 The Vermont-Alpine styled hotel located at the base of Mount Mansfield within Stowe Mountain Resort offers a truly luxurious setting, embracing the serene tranquility of the surrounding nature. This property is sure to please the most discerning of travelers. For the ski savvy, Stowe has a blustery 333 inches of snowfall annually with a vertical rise of 2,160 feet, providing a summit elevation of 4,395 feet. There are 116 trails within the 485 acres to explore this alpine adventure. However, if relaxation is your sport of choice, there are many ways to exercise that option as well in their 21,000-square-foot Spa and Wellness Center. Their Sacred Journey, a signature treatment, is a sensory experience where guests are cocooned in a revitalizing self-heating mud, enhanced with essential oils of lemon, bergamot, basil, nutmeg, and cardamom. Massage is integrated throughout the journey along with the resort’s signature hand, scalp, and foot rituals to relieve tension throughout the body, bestowing a sensation of relief and wellbeing ($225 for 80 minutes). If looking to put your best face forward, consider their Hydration Facial from Uspa, a perfect facial for after the slopes. Select botanicals, a gentle exfoliation, restorative clays, and nourishing plant oils high in essential fatty acids encourage increased hydration by effectively restoring normal functions to the skin. The skin is harmonized with regenerative rose, jasmine, evening primrose, and calendula ($150 for 50 minutes) to restore that youthful dew. 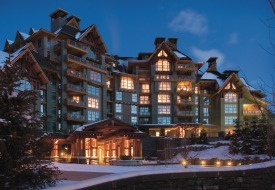 As one of North America’s top mountain resorts, the Four Seasons Whistler features the legendary service and luxurious amenities the brand is well-known for. Aside from the stunning natural aesthetics, the property has easy access to the exciting slopes of Whistler Blackcomb, site of the 2010 Olympic Winter Games. Book a room in this five-star stunner in one of the 273 lodge guest rooms, suites, or spacious townhouses complete with gas burning fireplaces. Whistler’s scenic mountain location is reflected in the luxurious spa treatments at The Spa at Four Seasons Resort Whistler. As one of the top spas in Whistler, treatments feature natural products, pure essential oils, and clay harvested from British Columbia’s glacial lakes. Nothing says you’re a winner quite like On the Podium Après Alpine Treatment. End a spectacular day on the slopes with a heat-therapy treatment designed to melt away muscle tension. Hot stones soothe the back while warm, moist towels are wrapped around the feet to restore circulation to the extremities after a long winter’s day. Stretching and deep tissue leg massages restore muscles to prepare you for yet another action-packed day. This massage is perfect for a champion athlete or a spectator ($278 for 110 minutes). The British Columbia Glacial Clay is an invigorating body exfoliation followed by cascading waters from their rain-bar shower. A vitamin-enriched combination of heated clay and fresh wild seaweed, indigenous to British Columbia, will leave skin refreshed, alive, and glowing. ($239 for 80 minutes or $307 for 110 minutes). 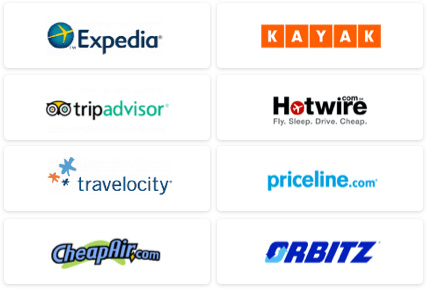 Use our Travel Search price comparison tool to find the lowest rates on hotels, flights, vacation packages and more travel deals.